The property is located at the head of Sandfold Lane, Just off Mount Rd (B6178), (which in turn joins Hyde Rd (A57) at Belle Vue) in the heart of Levenshulme, Manchester. Manchester city centre lies approximately 3 miles to the north west of the property and access to the regional motorway network is most conveniently provided by Junction 4 of the M60, some 2½ miles to the east. The immediate area is industrial in nature with a number of high profile Utility Companies and Recycling type uses being based there. The property is the former HQ Building of Flynn Utilities and comprises a substantial industrial/warehouse building of steel portal frame construction with brick external elevation walls to a height of around 3 metres and profiled metal cladding above with a mainly blockwork and profiled metal cladding inner leaf. The property has a solid concrete floor throughout, a pitched roof incorporating translucent panels a minimum eaves height of 18 feet. 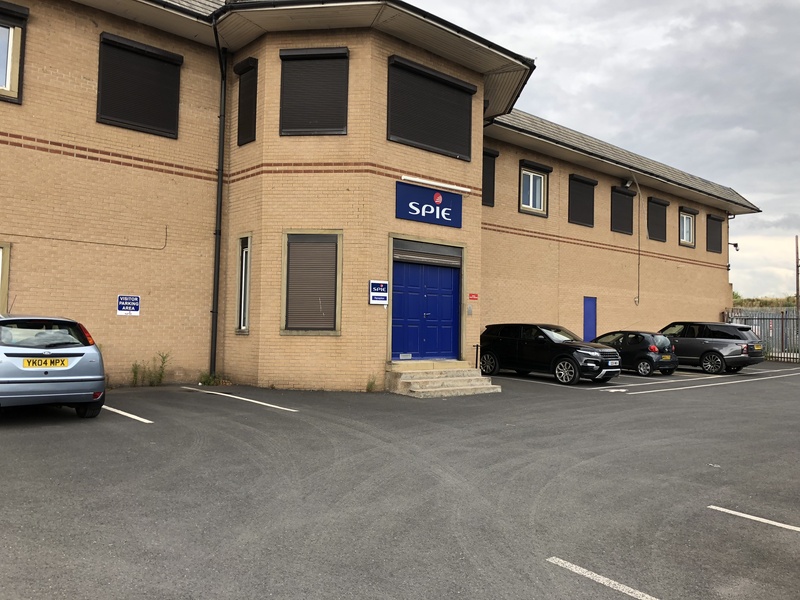 Internally the property provides a substantial, predominantly open plan warehouse environment with two storey offices along the eastern elevation and high quality two storey offices fronting the Sandfold Lane elevation. There is also a significant portal framed open storage building to the rear of the site. The warehouse has excellent goods loading at various points around the main building. Externally the property has a private car parking area to the front offices and a further “run off” parking area within the main yard. The building and site has excellent security provision with electric gates, CCTV, electric shutters to windows and gates and monitored alarm. 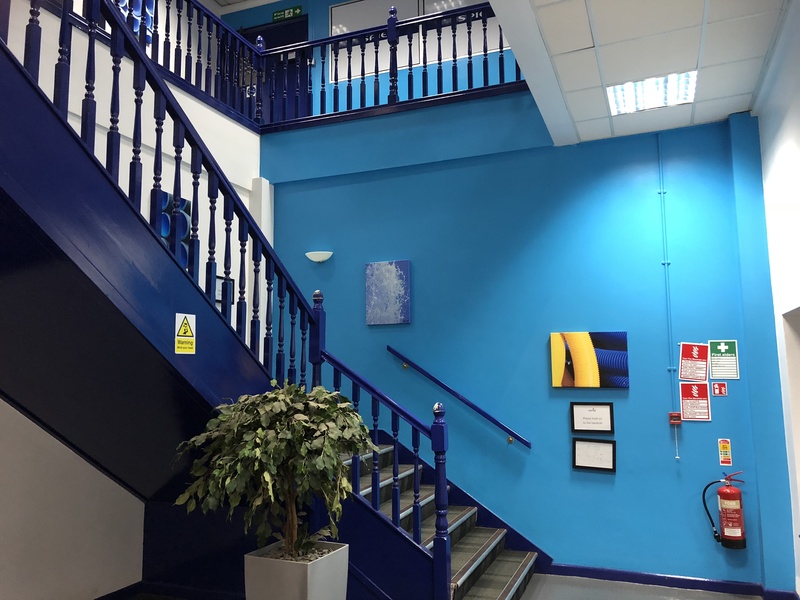 There are many additional features to this building as you would expect from the former HQ of a major utility company and viewing is essential. There are WC and canteen/kitchen facilities at various points throughout the building. 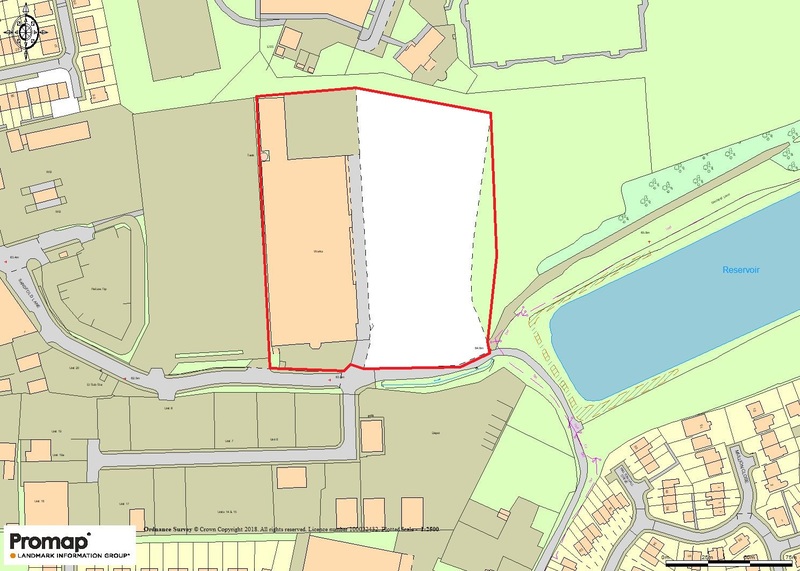 The site extends in total to 5.2 acres. The property currently has two RV’s as the main building and site are separated from the Open storeage building and small site to the rear. The main building has a Rateable Value of £171,000 in the current (2010) Rating List and the rear store has a Rateable Value of £26,000. Therefore, we estimate that the total rates payable in the current year (2018/2019) will be in the order of £97,909.00. We understand that all mains services are available. 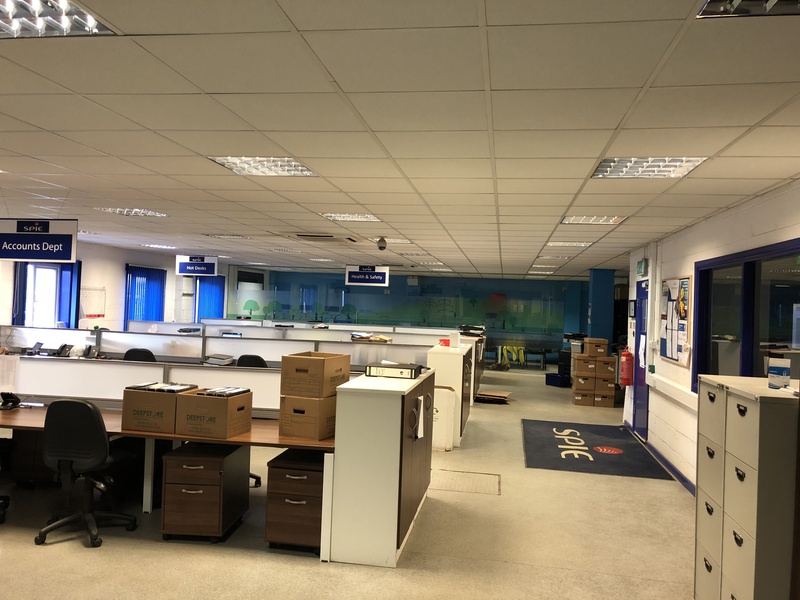 Lighting is by a combination of strip florescent tubes and sodium down lighters to the warehouse areas and by concealed fluorescent strip lighting to the offices. The offices are also partially air-conditioned and centrally heated. The property is also fully alarmed, has a CCTV installation. The property is available for sale at a price of £2.75 million. Alternatively, our client will consider a lease for the whole or parts of the building at rentals and terms to be agreed. Further details on request.